Save up to 36% on the Baby Care Cushioned Reversible Play Mats, Free Shipping! The Large Baby Care Play Mat – Genius Bear is on sale for $89.95 at Amazon right now. That's 36% off the list price of $139.95! More play mat deals . . . 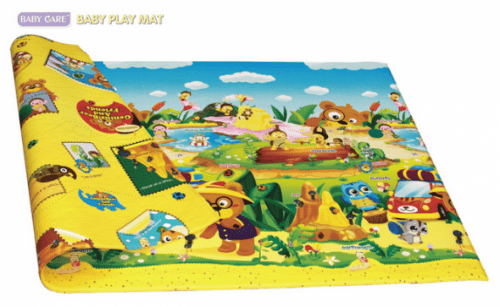 The Large Baby Care Play Mat – Pingko Friends is on sale for $93.35. That's 33% off the list price of $139.95! The Medium Baby Care Play Mat – Pingko Friends is on sale for $74.95. That's 25% off the list price of $100.00!